Claire Edwardes | Aluphone - Tuned percussion for percussionists. Internationally acclaimed Australian percussion soloist, chamber musician and artistic director of Ensemble Offspring, Claire Edwardes has been described by the press as a ‘sorceress of percussion’. In 2013 she was granted a prestigious Australia Council Music Fellowship, she is the first person to take home the APRA AMCOS Art Music Award for Excellence by an Individual (2016, 2012, 2007) three times and is the most recent percussionist to win the Symphony Australia Young Performers Award (1999). From 1999-2006 Claire was resident in the Netherlands where she developed a successful international career as a percussion soloist and revered chamber musician. Since returning to Australia 10 years ago she has been instrumental in leading, developing, and stimulating the art music scene back at home. Under her leadership (along with that of recently retired co-Artistic Director Damien Ricketson), Ensemble Offspring has become one of Australia’s most significant commissioners and exponents of new music. Recently winning the APRA AMCOS Art Music Award for Excellence by an Organisation (2016), Claire and the group have been featured in significant international festivals including Shanghai New Music Week, Kings Place (London), Warsaw Autumn and numerous times in the Sydney Festival. Claire’s curatorial nous and commitment to composer and cross art-form collaborations has been as important to the group’s success as her virtuosic gifts as a performer. Claire has also developed a stellar career as an independent percussionist, and has generated a new musical canon for percussion with three solo discs on the Tall Poppies label and a fourth just released on ABC Classics. 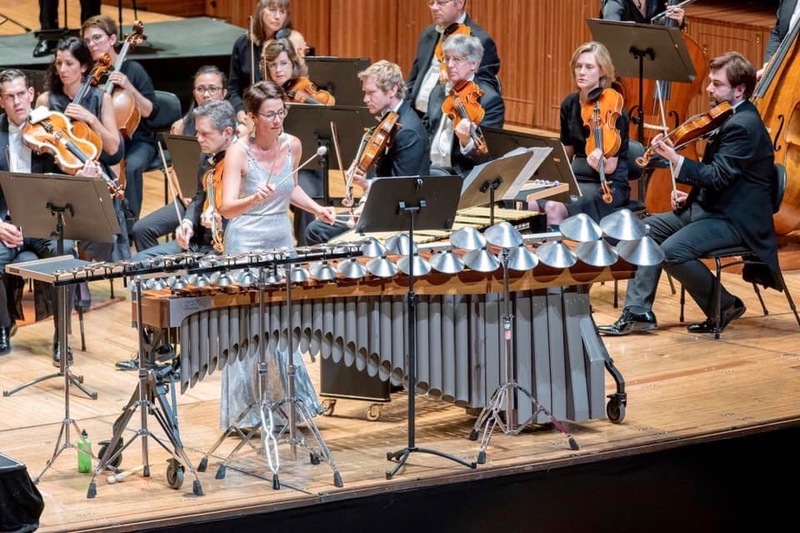 In addition she has forged a path as Australia’s leading percussion concerto soloist with regular engagements with all of the Australian orchestra’s since 2000, recently performing to 12,000 people with the MSO at the Myer Music Bowl. In 2016 alone she appeared hosting Play School with Eddie Perfect (ABC TV), performing music at the nexus of art and science with Guy Ben-Ary’s ‘cellF’, presented solo percussion works by Xenakis at MONA FOMA (Hobart) to a rapt audience, and improvised with Tony Buck from The Necks at the same festival. She also toured Australia as soloist with the Australian String Quartet, bringing new ideas about what percussion can be to classical audiences with her own arrangements of John Adams and a world premiere by Matthew Hindson. Please visit World Premieres for a comprehensive listing as well as audio and video links to all of the new works written for Claire over her 15 year career.